Prominent & Leading Manufacturer from Unjha, we offer black pepper powder. Along with our range of supreme quality products, we also manufacture for an excellent quality range of Black Pepper Powder. These black pepper powders are great for cooking applications with its excellent aroma and mild hotness. Our black pepper powders are fine grind and powdered processed in our modern facilities. These black pepper powders are highly efficient and have excellent medicinal effect in the digestion process. 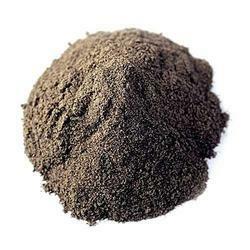 Avail from us our range of black pepper powders at economical prices. Looking for Pepper Powder ?